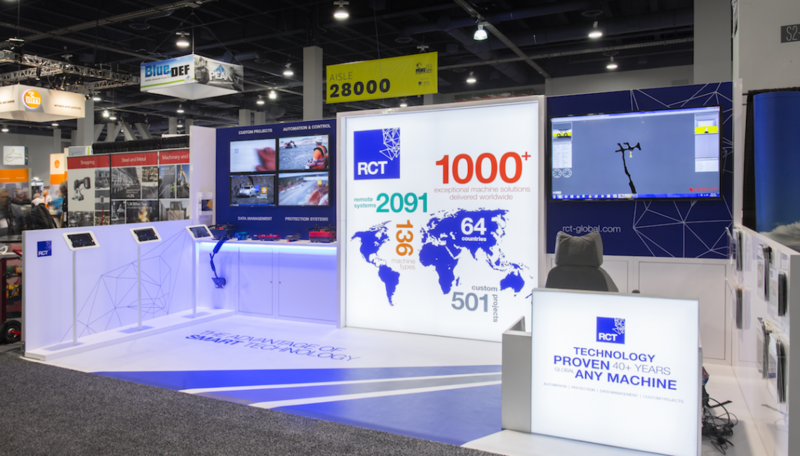 Bright backlit displays and eye catching graphics helped RCT Global achieve its event marketing goals at MINExpo. With interactivity and lead capture in mind, Nimlok collaborated with RCT to achieve its ambitious goals within a modest 10x20 space. 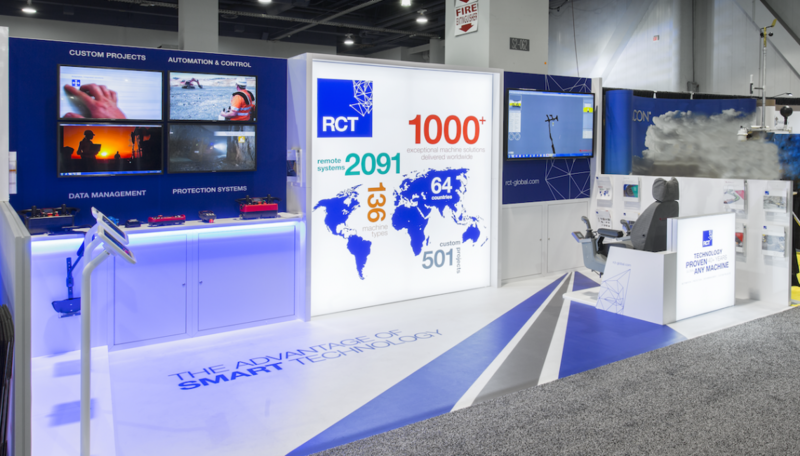 The inline trade show display featured demo stations that showed RCT’s background and integrated seamlessly with the rest of the booth. Even with limited space, the brand created an experiential opportunity by presenting its automation and simulation abilities through VR technology—drawing in plenty of leads to the space throughout the show. A video wall was integrated into the other half of the trade show exhibit to further engage and educate show attendees.